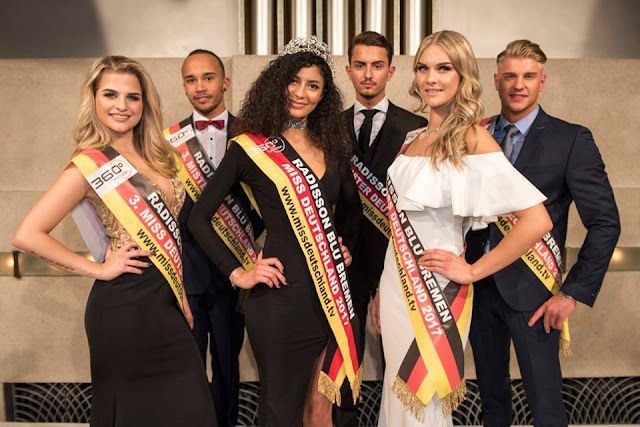 Dalila Jabri (20) was recently crowned Miss Deutschland 2017. She is expected to represent Germany at the 2017 Miss World Pageant this December. Jenny Nagel finished in second place and Alicia Blut finished in third place. The runners-up are so much prettier than the winner.